The Healing Word of God is an inspirational four CD audio series which combines beautiful, original background music and soothing nature sounds with carefully selected scriptural passages designed to stir the soul and begin the process of healing. 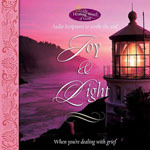 Each individual CD is topical in nature, addressing the different crises many people face in today's world: Faith, Trust and Rest for worry, doubt, and fear; Comfort, Peace and Hope for panic, anxiety, and depression; Prayer, Thanksgiving and Praise for weathering the storms of life; and Joy and Light to address grief. 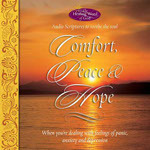 The Healing Word of God CD series. What is The Healing Word of God and how is it different from other Bible audio projects? The Healing Word of God CD’s are all scripture based. They were created for people specifically dealing with life debilitating circumstances. When people are debilitated, it takes everything they have to get out of bed in the morning, let alone, search for scriptures they need to hear. That’s why this project was developed. All scriptures are arranged according to topic and can be heard on different tracks. All four titles can be used as a devotional tool….. on the way to work, before bedtime, or while going about your daily chores at home. 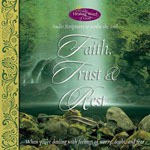 All of the CD’s have beautiful music that was created for each to enhance the scripture readings. Each CD comes with a 14 page booklet that you can follow while listening. 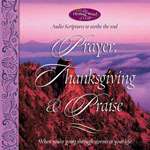 Listen to the audio samples to the right and see how each of the 4 titles may apply to your life.